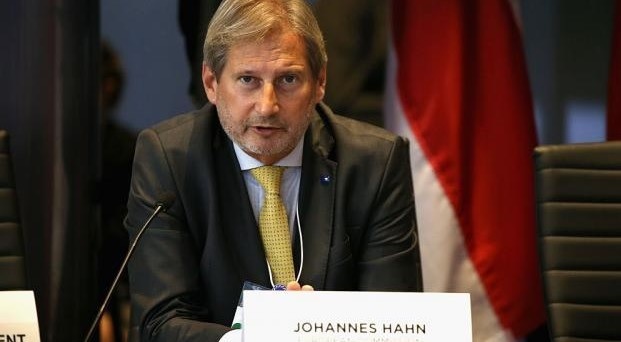 Even the EU Enlargement Commissioner Johannes Hahn has come up against the tax imposed by Kosovo on products imported by the Serbian state. Hahn wrote on twitter that this action should be back immediately. "This action that damages Kosovar consumers and businesses, should be turned back immediately. Kosovo holds the CEFTA chair and has responsibilities. I will take part in CEFTA works that will be held soon in Pristina, and I expect that this issue will be resolved by then," wrote Hahn. The Kosovo Government imposed yesterday a 100% tax on products coming from Serbia and Bosnia and Herzegovina. This decision of the Government as was well known was not welcomed by the states in question. While the Serbian President Aleksandar Vucic has called on the Kosovo Government to withdraw the decision to set a 100 percent tax on the products of Serbia and Bosnia and Herzegovina. "...please be clear and draw that decision. Everyone needs peace," Vucic said last night, after the meeting of the Security Committee and the meetings with the Ambassadors of QUINT in Belgrade (USA, Germany, Great Britain, France and Italy). Vucic said that this is more worse blow than a gun, which, in his opinion, could endanger peace. At the same time, he has admitted that Serbia will respond. "Let's see how we can help to overcome this difficult crisis. We have agreed that all our bodies will be ready to respond to the moves of the Pristina authorities," said Vucic.